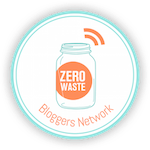 Members of the Zero Waste Bloggers Network get an awesome community in the first place. Answers to your Zero Waste questions. To apply for a membership, please register here: Registration form. It’s a multi step process with a check of your blog. Please fill in the information carefully. >> WE ARE CURRENTLY NOT TAKING ANY NEW MEMBERS!